It’s not a tasty ham substitute. 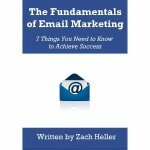 When we refer to spam on this blog, we are referring to email. Specifically, we’re referring to email that for one reason or another is not solicited. Back in the day, we all had a “Junk” folder. 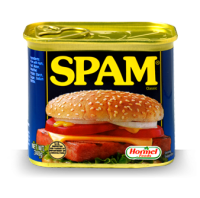 Gmail made it popular to refer to it as a “Spam” folder, because that’s where your spam goes. In reality, spam and junk are referring to the same thing. When we get an envelope in the mail from a bank or credit card company we don’t belong to saying, “You’ve been pre-approved”, we know it’s junk. Spam is the same thing, in our email inboxes. Either the email is from a company that we never signed up with, or it’s an email that does not apply to us, or its unexpectedly high pressure, creepy, or sales-y in nature. It’s a turnoff, and if it lands in our inbox, we’re not happy. Being seen by your customers or potential customers as guilty of spamming them is not a good thing. It can ruin your reputation, steering you in the direction of a used car salesman. And nowadays, the term spam has spread far enough that it can apply to any promotional message that we might view is unsolicited and inconvenient. A popup ad on a website feels spammy. A flyer stuffed in my door or stuck on my car’s windshield feels spammy. Spam is not good marketing. Spam is what gives marketers a bad name.